Zodiac body art often has a deep meaning for its wearers. People have been mesmerized with astrology since the stars were first charted. The idea that an unseen eye may have a hand in our fortune, luck and love is a fascinating thought. Many people with a passion for astrology choose to wear their symbol as body art. 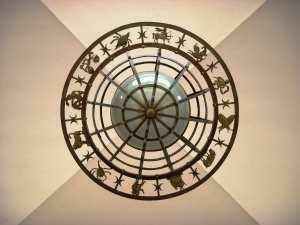 Several cultures in the world have their own version of the zodiac. The Chinese have popular zodiac symbols that go by the year in which a person was born. Native Americans also had a firm belief in astrology. However, the most popular zodiac symbols come from the western version which includes one sign for every month of the year. As astrology is such a varied topic, the options for zodiac body art are limitless. For example, some choose to use their symbol, while others choose a Celtic or tribal variation. The popular astrology symbols in the United States derives from Greek and Roman mythology. There are twelve signs, each one representing roughly one month from the calendar year. Each sign has a glyph symbol and an image to represent it. Capricorns are born between December 23 and January 20. Capricorns are represented by the Sea-Goat, which looks similar to a goat with a fish's tail. People born between January 21 and February 19 represent the Aquarius group. Their symbol is the Water-Bearer, which is a man holding a fish in water. Pisces are born between February 20 and March 20. The Pisces symbol is of two fish, swimming opposite each other, in a Yin Yang position. Aries are born between March 21 and April 20. Aries is symbolized by a ram. People born between April 21 and May 21 are a Taurus. The Taurus symbol is a bull. Geminis are born between May 22 and June 21. Their symbol is two twin women facing each other. Cancers are born between June 22 and July 22. The Cancer symbol is a crab. Leos are born between July 23 and August 22. The Leo symbol is a lion. Virgos are born between August 23 and September 23, their symbol is a woman with wings. Anyone born between September 24 and October 23 is a Libra. The Libra symbol is the famous two scales being held up by a man. Scorprios are born between October 24 and November 22. The Scorpio symbol is fittingly a scorpion. Anyone born between November 23 and December 22 is a Sagittarius. The Sagittarius symbol is the half man, half horse symbol famous in Greek mythology. Zodiac glyph symbols can be placed anywhere the wearer can imagine. As these symbols are small and simple in nature, they can easily be incorporated in to larger pieces of body art, or worked in to a tribal design patterns. Common placement for a small glyph symbol includes the inside of the wrist, back of the neck, ankle, lower back, or hip area. Glyph symbols that are worked into larger patterns are often featured around the biceps, across the lower back or the chest. Zodiac symbols featuring images are larger in size and usually stand alone, but again, the tattoo design itself is up to the creator. Large Zodiac symbols, such as the twins, look beautiful across the middle of the back, near the shoulder blades, or on the pelvic bone. Like all tattoos, opting for zodiac body art is an entirely personal decision. Some people choose to use their zodiac symbol to commemorate their birthday and as a sign of celebrating their life. Other people wear their symbol as a representation for how strongly they feel about astrology. Some people choose to get another person's zodiac symbol in lieu of their name as a way to recognize someone special to them. There are several design options for including a zodiac symbol in to your body art. For example, a person may choose to have the glyph of their astrology symbol drawn on their cheek or near the eye for their birthday. They may also choose to add their astrology character to their hands, feet, or arms in body paint. If you're into henna, why not celebrate the impending birth of your child at a Blessingway gathering with a zodiac design reflecting his expected arrival drawn on your belly? In addition to traditional body art or tattoos, you can also use a unique piercing to display your zodiac symbol. There are plenty of jewelry options that incorporate astrological symbols. Check out the zodiac themed jewelry available at BodyArt for inspiration! Zodiac tattoos offer a wide array of options as well. You could choose a discreet glyph symbol tattooed on your big toe, or the back of your neck. You could make a tribal arm band comprised of several of the glyphs chained together around your bicep. If you wanted a larger tattoo, you could display your astrology character in full color across the middle of your back.